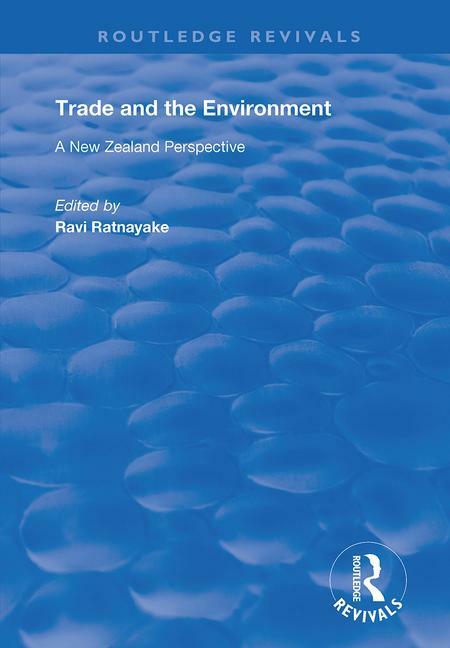 Published in 1997, this book is about the link between trade and the environment which has become a very important national issue for all countries, in particular, those countries which have been undergoing lengthy periods of trade and investment liberalization programmes recently. This has also become an international issue of tremendous current interest given its implications on the global environment and trading system. International organizations such as WTO, OECD, the UN and regional trading arrangements such as NAFTA, EEC and APEC have been actively involved in the policy debate. Despite the critical importance of trade-environment issues, less is known about the linkages between the two. This book presents a New Zealand perspective as a case-study of global interest for two reasons: firstly, many countries, both developed and developing, are taking the New Zealand economic reforms as a model for restructuring their economies. Secondly, New Zealand is going to become a member of APEC (Asia Pacific Economic Co-operation), together with 17 other countries in the area by 2010 (developed countries) and 2020 (developing countries). The book is expected to contribute significantly to the current debate and to assist in the process of reconciliation of trade and environmental policies for sustainable development within the context of APEC integration. Foreign Direct Investment and the Environmental Regulatory Regimes of the Countries of the APEC Region: Where Does New Zealand Stand?